My nephew's due date was today, but in true Stiles' fashion, I suppose he's going to be a little late. It's been fun helping my sister with the nursery and trying to find the best products out there while still working with a tight budget. After all of this baby hunting there is one, no two, things that I've learned about babies. 1. They need a LOT of stuff. 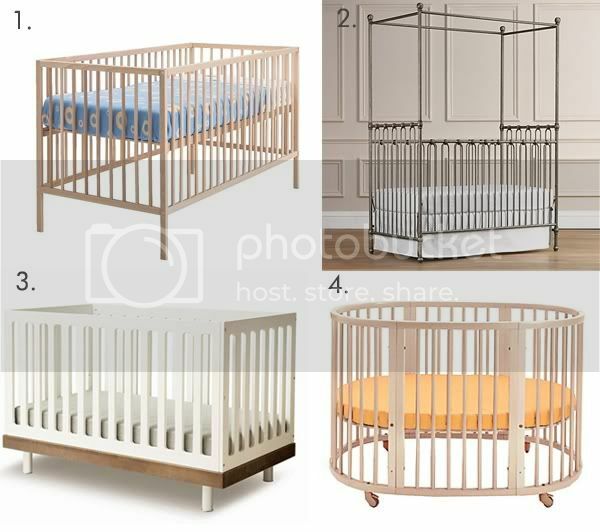 However, I did a little searching and found 4 cribs that I approve of.